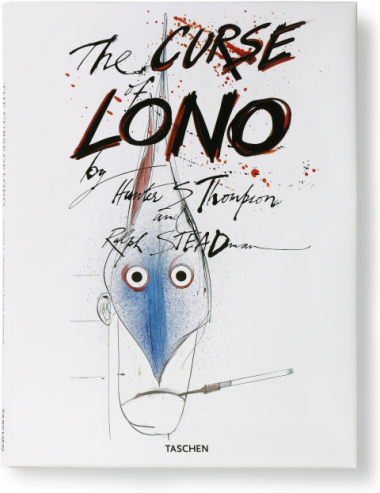 First published in 1983, The Curse of Lono is a gonzo masterwork, mixing Hunter S.Thompson’s hallucinogenic writing with the splattery illustration of Ralph Steadman. Long out of print and coveted by collectors, this zany amalgam of wordplay and wild draftsmanship is now resurrected in a TASCHEN Collector’s Edition: a full-color, large-scale ride to the dark side of Americana. 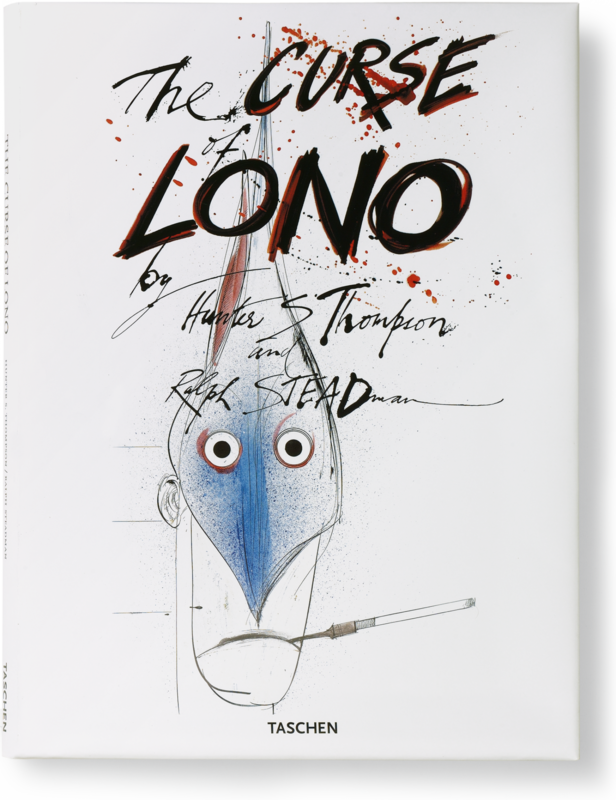 No one expected TASCHEN’s re-edition of The Curse of Lono to end up being Hunter S. Thompson’s swan song, and his sudden death the month before its release made the event a bittersweet one. The Curse of Lono is to Hawaii what Fear and Loathing was to Las Vegas: the crazy tales of a journalist’s “coverage” of a news event that ends up being a wild ride to the dark side of Americana. Originally published in 1983, Curse features all of the zany, hallucinogenic wordplay and feral artwork for which the Hunter S. Thompson / Ralph Steadman duo became known and loved. This curious book, considered an oddity among Hunter’s œuvre, has been long out of print, prompting collectors to search high and low for an original copy. 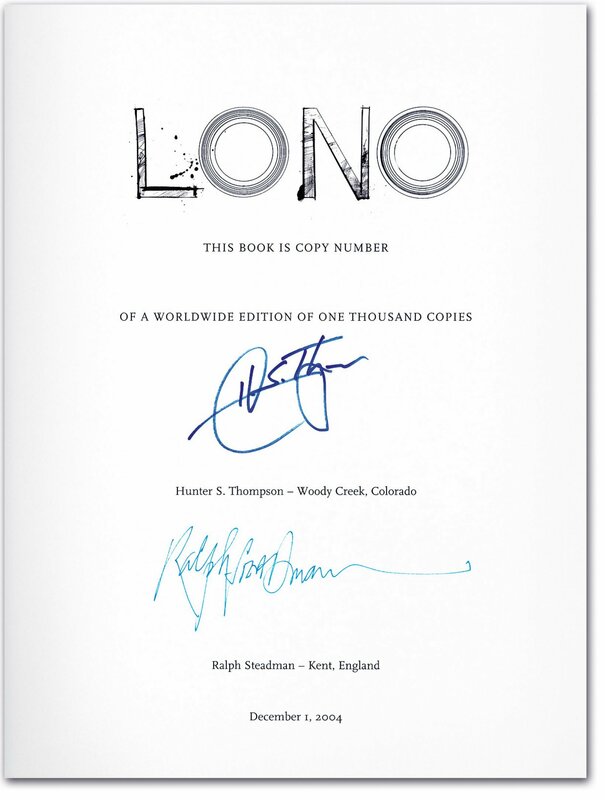 Resurrected by TASCHEN in a bigger size with splendid, full-color illustrations, The Curse of Lono is now available in a special 1,000-copy edition, numbered and hand-signed by Thompson and Steadman. Ralph Steadman is best known for his collaborations with Hunter S. Thompson. He is also a printmaker (his prints include a series of etchings on writers from William Shakespeare to William Burroughs). His own books include the lives of Sigmund Freud and Leonardo da Vinci and The Big I Am, the story of God. "Book publishers TASCHEN said they had no idea that their re-issue of The Curse of Lono would end up being Hunter S. Thompson's swan song, but this signed limited edition is exactly that. (...) This curious book, considered an oddity among Hunter's oeuvre, has been long out of print, prompting collectors to search high and low for an original copy."